From August 12 to 14, Air China is going to have a flash sale on their flights from Vancouver to Shanghai and Guangzhou, China for just $499 CAD roundtrip including taxes. 3. Search for a flight from Vancouver to Shanghai or Guangzhou, China. Try dates between mid-October and late December, 2016. The flash sale is live. The flights to Shanghai all have an overnight layover in Beijing on the way back. The flights to Guangzhou do not. Shanghai has availability in October, but Guangzhou does not. vancouver, yvr, flight deals, asia, east asia, china, guangzhou, can, shanghai, pvg and air china. 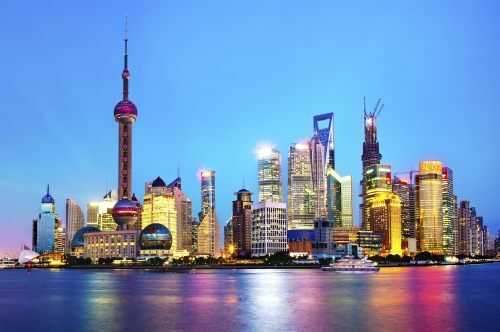 5 Responses to "Upcoming Flash Sale: Vancouver to Shanghai or Guangzhou, China - $499 CAD roundtrip including taxes"
Just checked and plenty of dates available Oct to early Dec departing mainly on weekday but connecting flights and not direct through PEK. Can anyone get Vancouver to Shanghai and Guangzhou to Vancouver for $499? Haha, yeah. That's right, there's no option for travel other than a longer stop over, unless you want to pay a little bit more to stay longer, you may be able to find a date to allow a few days in Beijing, then onward to finish your trip.